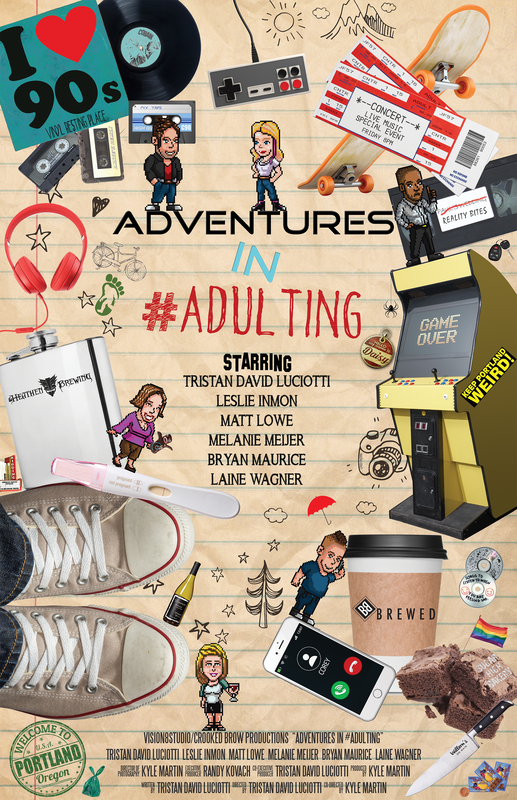 Adventures in #Adulting follows the life of Corey Caruso, a charming, yet unmotivated 30-something living in Portland, OR who is unwittingly stuck the past – the 90s to be exact. He is accompanied by Claire, Josh, Paul, Annie and Gina – each battling their own adulting mishaps and hilarious encounters – at times with eccentric characters. The mutual quest is that of love, adventure and true happiness – but at what cost?